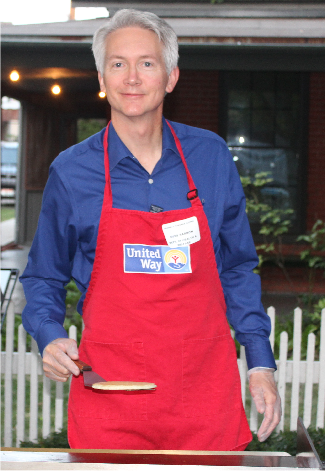 Watch video: Twin County / Lewiston United Way Campaign. Watch video: United Ways of Idaho Falls & South Eastern Idaho. Watch video: United Way of North Idaho. I feel very fortunate to be serving as the chair for the United We Care 2018 Charitable Giving Campaign. Helping children, families and all Idahoans lead healthy, productive lives is something I am very passionate about. This is why the Charitable Giving Campaign is so important to me. This year's campaign theme is Because of You. This is a fitting theme since because of you, State of Idaho employees raised over $207,000 during last year's campaign. Those contributions helped provide preventative healthcare, education, counseling services, and food to Idahoans in need. A donation of any size can help result in pretty remarkable outcomes. At any given time, anyone can fall on hard times, but United Way can be the hand to help lift someone back up. There are hundreds of Idaho nonprofits supported by United Way. This year, from Oct. 1 - 31, please consider donating to one (or more) of those organizations. If you have contributed in the past, thank you. If you have not contributed before, we invite you to make a difference by joining the 2018 United We Care Charitable Giving Campaign. Why should I participate in the Idaho State Employees' Charitable Giving Campaign? You can be the one to change someone's life for the better. You choose the amount to give and decide which organization(s) to support. You choose how to give. Options include payroll deduction, check, cash, credit card, or through agency fundraising events. Why shouldn't I give directly to my charity of choice? Simply put, efficiency. Payroll deduction pledges allow charities to forecast income for the entire year. United Way makes pledge information available to agencies at the conclusion of the state's annual campaign. Bundling multiple contributions into a single payment to the various charities reduces the amount of time and money the charities would otherwise spend processing individual donations.